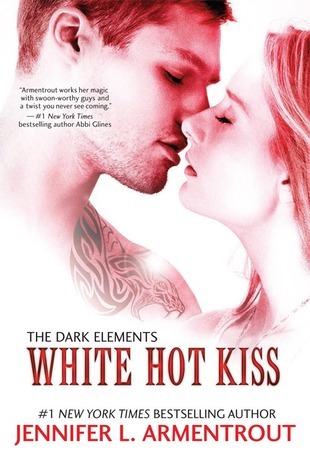 This entry was posted in 4 Star Reviews, Reviews and tagged Book Review, Jennifer L. Armentrout, The Dark Elements, White Hot Kiss, YA. Bookmark the permalink. I picked up a Jennifer Armentrout book (and ARC of Don’t Look Back) at an English teacher conference in the fall, but I’ve never read any of her books and I don’t know what I’m getting myself into. You are clearly a huge fan, so I’ll have to give it a go to see what the fuss is all about! I started the Lux series and read the first book and the first novella but it became clear to me that there would be cliffhangers involved so while I LOVED them, I decided to wait until the series was completed before I restarted them and probably binge-read them. But I’ve had my eye on this series AND am wondering about cliffhangers because they stress me so! I’ve seen a lot of positive feedback from this one, though. And I love the books she writes under the J.Lynn name! Glad you liked this one! Excellent strategy about the cliffhangers. There is a terrible cliffhanger at the end of Opal from the Lux series. As for White Hot Kiss, there is a sort of cliffhanger. Nothing like Opal or anything. I mean there is an ending, but there is something that needs to be resolved still. Ahhh, I can’t say without spoilers. That’s great that the love triangle is easy to enjoy, although that’s a bit disappointing that the MC is so similar to the rest of Armentrout’s other MC’s. But, it still sounds like an exciting, fun story! I’m so curious about this book. It’s been so successful but I’m a little scared of the paranormal element. I just read one of Jennifer’s novellas and perhaps after I read a full book I’ll be brave enough to try this out!